20 Spellbinding Places To Visit In July In India To Relish The 2019 Monsoon! With the onset of July, monsoon picks up the pace to bring respite after the blazing hot summers. But do not let this season confine you inside your homes. Pack your bags instead and head out to interact with the beautiful environs. 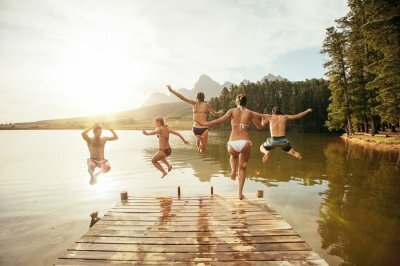 For those who missed out on a nice summer vacation at one of the top summer destinations in India, here is a list of the top places to visit in July in India. Browse through the list and start planning your holiday. July is an amazing month to travel. The monsoons in the cities can be really vexing, so plan a vacation to one of these amazing places in India in July. 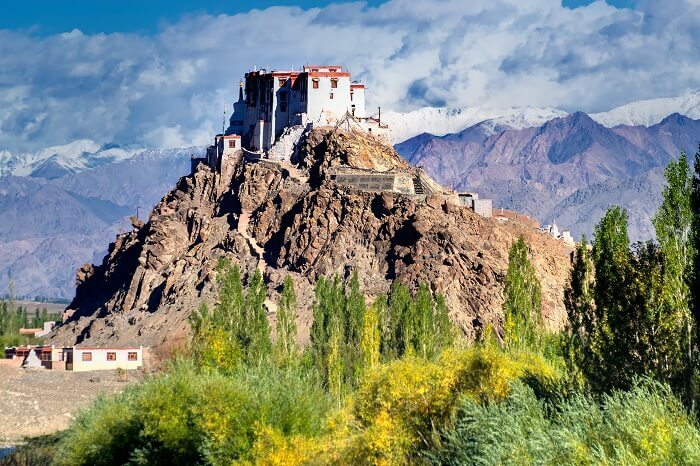 Located at the northern head of India, Ladakh is arguably one of the best places to visit in India during July-August. Its high rising mountain peaks, stunning lakes, salubrious weather, and breathtaking scenery add to the charm of this North Indian destination. 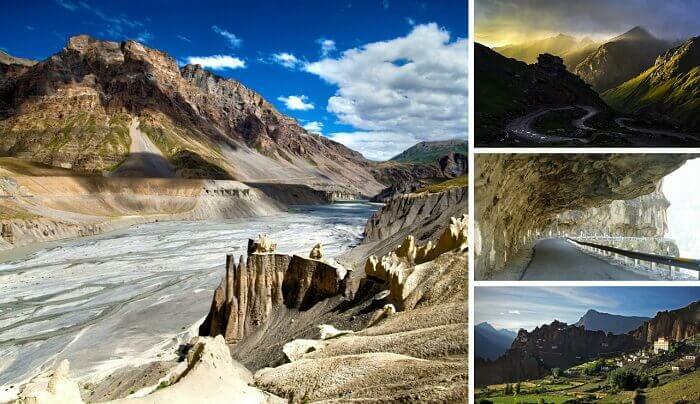 Places to visit: Zanskar Valley, Pangong Tso Lake, Khardung-La Pass, Spituk Gompa, and Hemis National Park, and more. Things to do: Watch the Llamas perform colorful Chhams, spot a snow leopard at the Hemis National Park, ride a double-humped Bactrian camel or ride a bike up to the Khardung-La Pass. Tip: Do not miss out on unraveling the mystery of Magnetic Hill all by yourself. 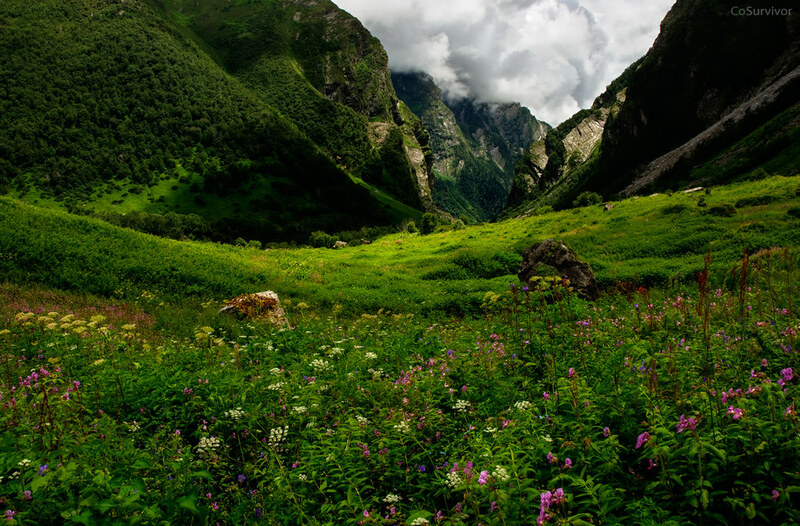 Located at a height of about 3,858 m above sea level, the Valley of Flowers is one of the Indian destinations on the list of UNESCO World Heritage Sites. The alluring valley remains frozen in the winters, but with the onset of summers, the snow melts away and the valley blooms into a youthful beauty. And the early monsoon showers of July make this destination one of the best places to go in July in India. Places to visit: Sri Hemkunt Sahib, 5.7 km from the Ghangaria camping ground, is said to be the meditation ground of Guru Gobind Singh in his previous life. 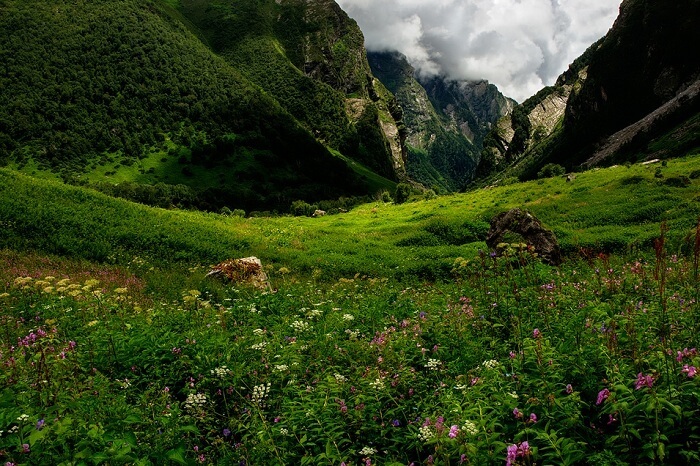 Tip: To reach the end destination, travelers will have to take a trek to the Valley of Flowers from Govindghat basecamp. Surrounded by stunning mountains and glaciers, the Spiti Little Tibet Valley offers peaceful stay options at the spiritual monasteries and the lovely villages. 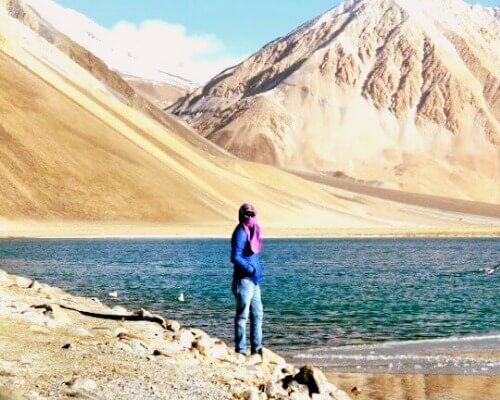 The breath-taking views and rich Buddhist cultural heritage of this desert mountain valley provide the tranquility that the travelers seek while booking a trip to Spiti Valley. Places to visit: Ki monastery, Tabo monastery, and Bara-Shigri glacier are the major places to visit in the Spiti Valley. Things to do: Jeep safaris and trekking options make it one of the best places to visit in India during July for the adventure seekers. Tip: Do not miss out on exploring the Pin Valley National Park which happens to be a huge attraction. 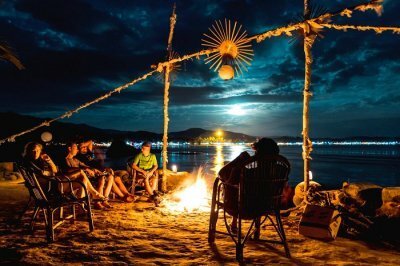 Suggested Read: 12 Best Places To Visit In July In The World In 2019 To Pamper The Travel-Enthusiast In You! Dharamshala is internationally known as the home of Dalai Lama. Traditionally known for its temples and monasteries, Dharamshala became popular among the sports enthusiasts with the introduction of ODIs and IPL T20s at the HPCA stadium. It is soon to be the first smart-city of Himachal Pradesh. The beautiful stretches of the dense Deodar forests of the hill station definitely put it among the best places to visit in India in July. 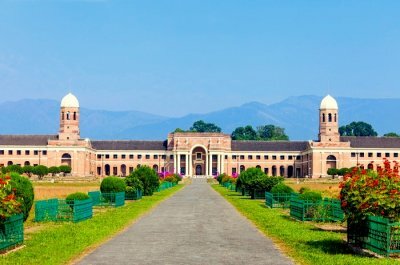 Places to visit: Kangra Fort, Bhagsunath Temple, Bhagsu Falls, Namgyal Monastery, Dalai Lama Temple complex, HPCA Stadium, and tea plantations of Kangra valley are the best places to visit in Dharamshala. Things to do: Meditation & stay in Namgyal Monastery, boat ride in Dal Lake, and walks through the tea plantations are the things to enjoy on a trip to Dharamshala. 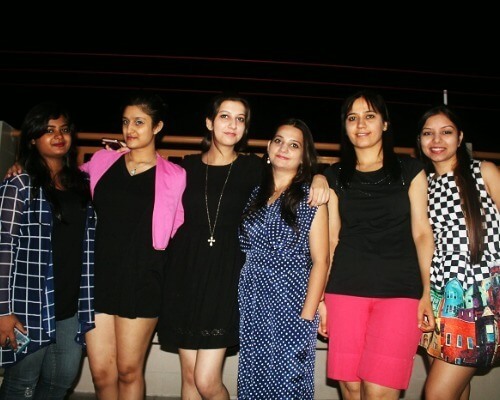 Tip: Experience night camping atop Triund on your next trip to Dharamshala. 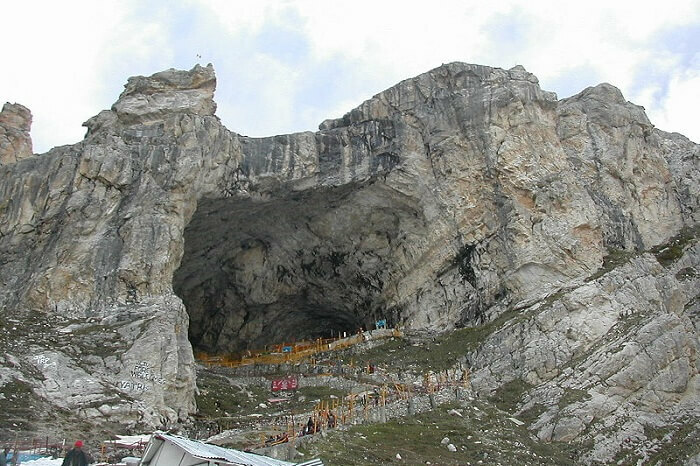 Home to one of the holiest shrines in Hinduism, the Amarnath Cave is surrounded by snowy mountains. The cave, too, is covered in snow for most of the year. However, the snow melts in summers and the cave is open for pilgrims during July and August. Its religious importance makes it one of the holy places to visit in July month in India with family. Besides, it is a challenging trek for those who love adventure in the hills. Tip: Make sure you take the route from Pahalgam for easy and hassle-free access. 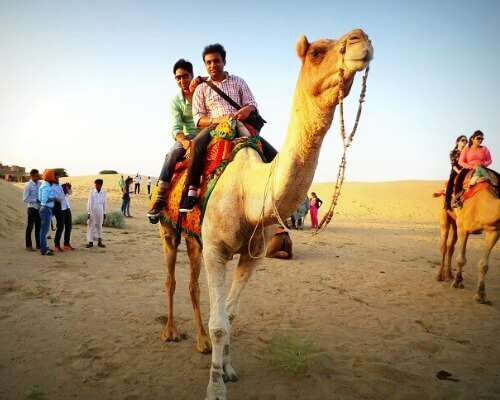 Rajasthan being the state that receives one of the lowest rainfalls in the country, make for an ideal holiday destination in July. And Udaipur is no doubt the state’s most charming place to visit in July. With minimal rains, the weather stays climate, making it easy for tourists to travel and explore the major attractions in the city. Places to visit: City Palace, Lake Pichola, Saheliyon Ki Bari, and Lake Fateh Sagar are some of the top places to see in Udaipur. 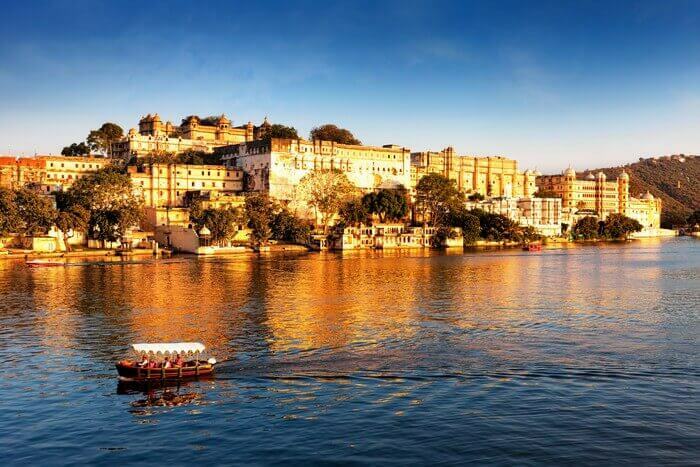 Things to do: Taking a sightseeing tour, boating at Lake Pichola, and capturing beautiful pictures against the sunset are some of the things to do to make your trip more memorable. Tip: Boating or going on the ever-famous shikara ride on Lake Pichola is a must for all travelers. Kerala is undoubtedly a paradise in the monsoons, which makes it one of the best places to visit in July in South India. The lush greenery and rejuvenating ambience make the rains look more beautiful and your holiday more surreal. From indulging in ayurvedic treatments to local cuisines, there’s a lot that will make your trip experience enriching. 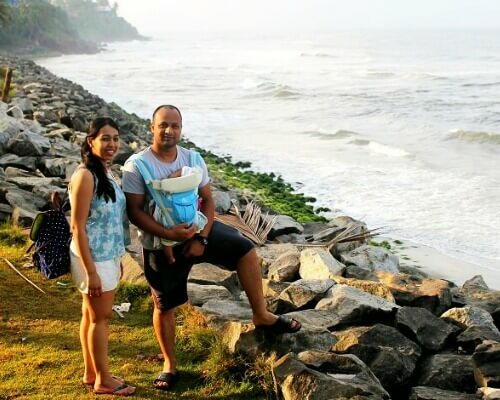 Places to visit: Kochi, the backwaters in Kumarakom, Alleppey, tea plantations in Munnar, and the best beaches in Kovalam are the major places to visit in Kerala. 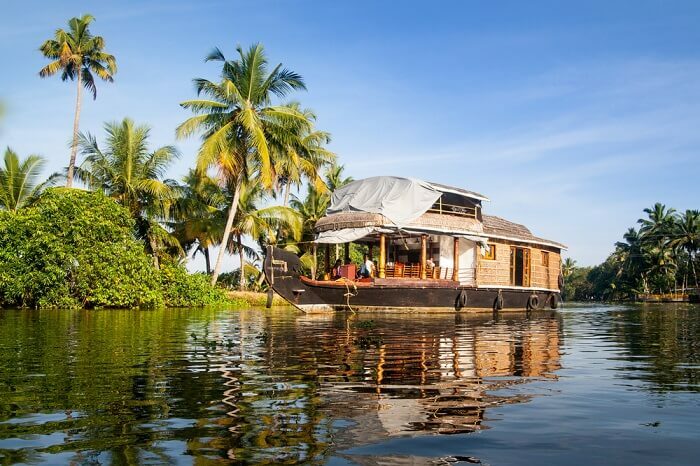 Things to do: Staying in a houseboat, beach hopping in Kovalam, shopping, bamboo rafting in Thekkady, and visiting Periyar National Park are some of the top things to do in Kerala. Tip: Plan your trip somewhere around July to August to make the most of Ayurveda massages as well as the Nehru Snake Boat Race. 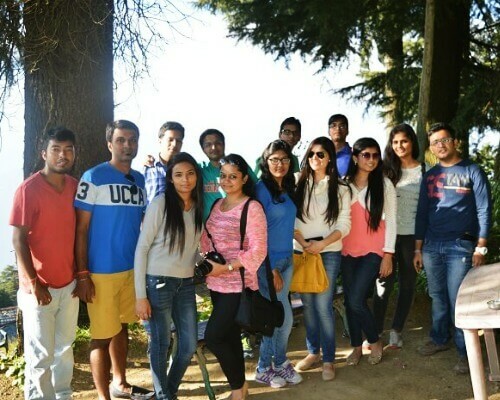 Kodaikanal is amongst the best July vacation destinations in India to visit with friends, especially for those who live in Bangalore and other cities of the South. 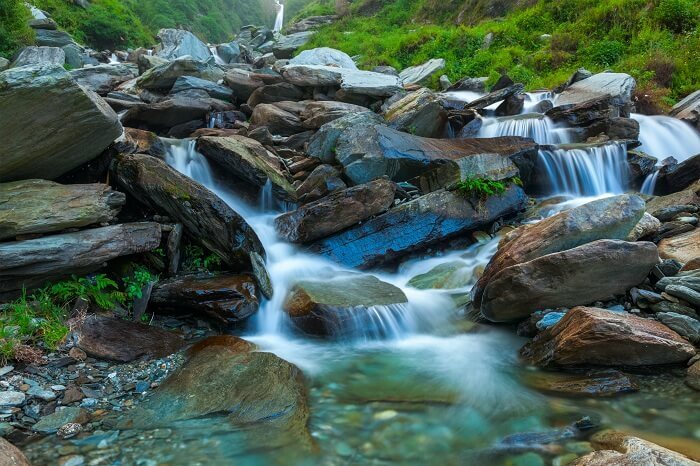 Its meadows, waterfalls, valleys, forests, and lakes provide a perfect setting for a July holiday. 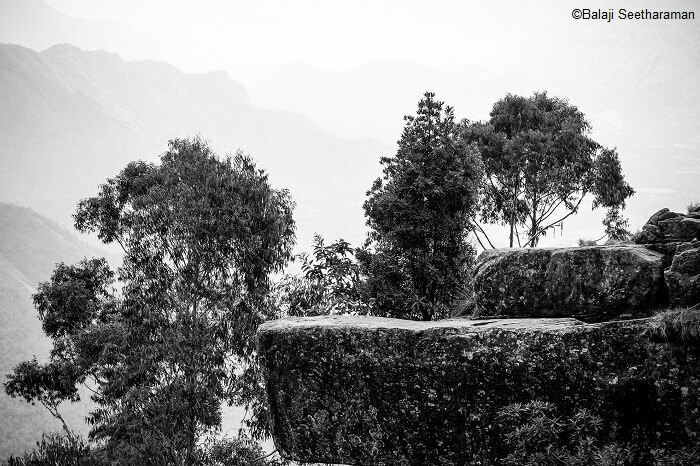 Though the monsoons can be a little tricky, the climate and the beauty of rains in July and August pull the travelers to Kodaikanal nonetheless. Places to visit: Kodaikanal Lake, Bryant Park, Coaker’s Walk, Pillar Rocks, Dolphin’s Nose rock, Shembaganur Museum of Natural History, and Bear Shola Falls are the best places to visit in Kodaikanal. Things to do: Travelers can experience Brocken Spectre at Coakers’ Walk, ride a rowboat or pedalo at Kodaikanal Boat Club, cycle around the Kodai Lake, take a trek to Kukkal Caves, and practice yoga at the Kodaikanal Yoga Centre. Tip: The weather in Kodaikanal gets a bit chilly in the night so make sure you carry adequate amount of woollens. With the onset of July, the rains slowly start hitting this urban settlement and the capital city of Sikkim. The entire area becomes lush green and quiet. The hotel rates are low while the rains are still not very severe. 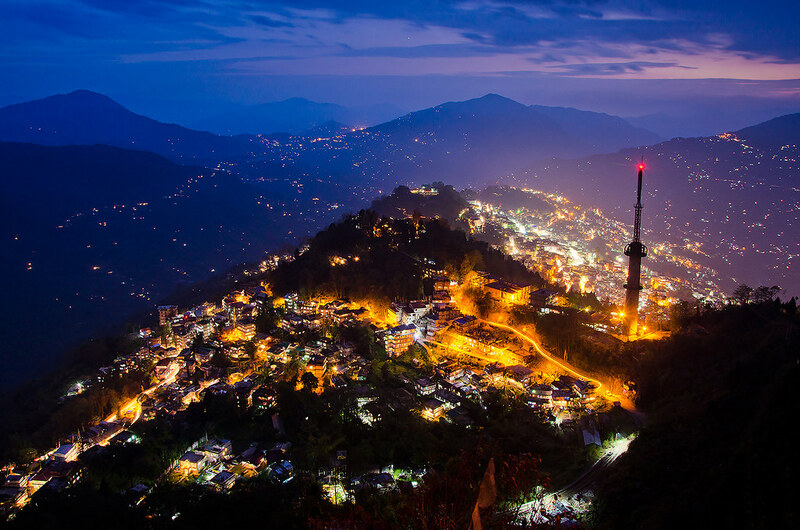 The less crowded, serene, and lush green Gangtok makes for one of the best holiday destinations in India in July. Places to visit: Nathu La, Hanuman Tok, Rumtek Monastery, Khecheopalri Lake, and Phodong Monastery are the best places to visit in Gangtok. 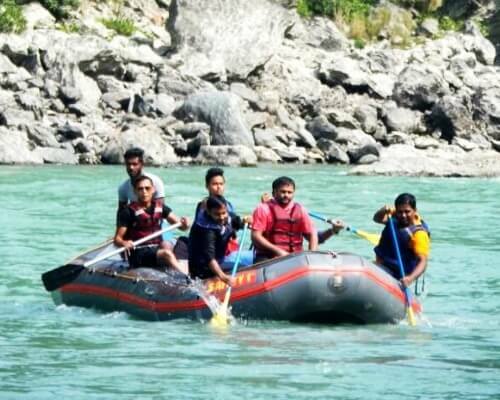 Things to do: Travelers can go for river rafting in Teesta, yak rides at Tsomgo Lake, paragliding, and ropeway cable ride from Deorali. Tip: Traveling to Gangtok during monsoons can actually be a good deal for the travelers as it happens to be the off-season. Tawang is another entry from the northeast in our list of places to visit in July in India. The beautiful and quiet hill station from Arunachal Pradesh spreads across the lush hills with Buddhist monastery and Gompas on one end and war memorial on the other. Places to visit: Paradise Lake at Sela Pass, Tawang Monastery, Gorichen Peak, Taktsang Gompa, Nuranang Waterfall, and Pankang Teng Tso Lake are the major tourist attractions of Tawang. 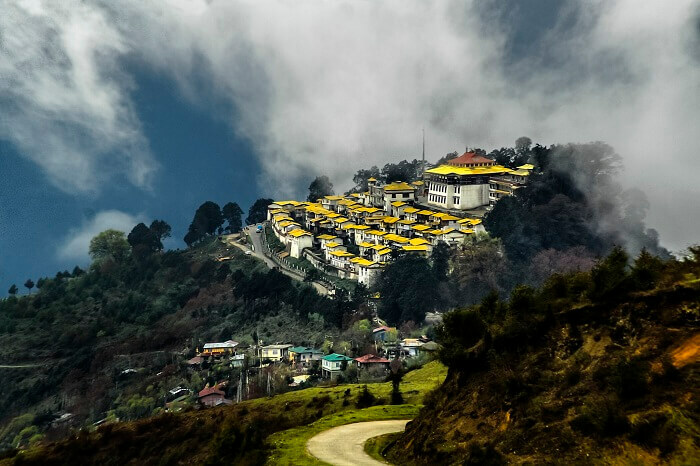 Tip: Hire a private cab or a local taxi from Tezpur to reach Tawang at ease. Mumbai and Pune and all the nearby cities & towns receive the first monsoon rainfall by mid-June. 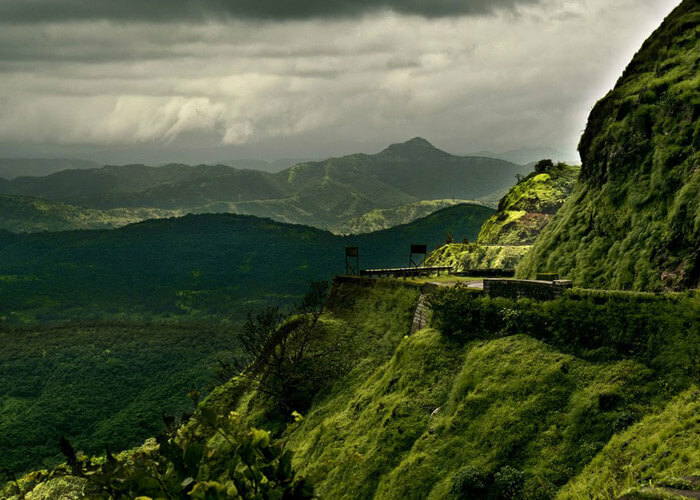 But for those who wish to head out of Mumbai and Pune, Lonavala is the best place to visit in the monsoon in India. The verdant hills look beautiful and the weather is very pleasant during the month of July. Places to visit: Travelers can visit Korigad Fort, Tiger’s Leap, Lohagad, Karla and Bhaja caves, Lonavala wax museum, and Duke’s nose. 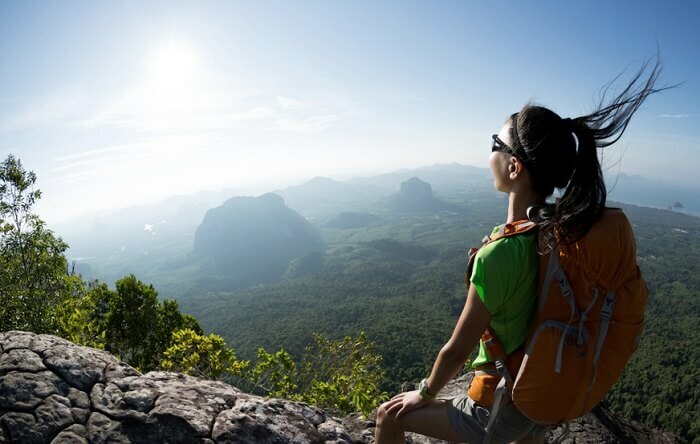 Things to do: Travelers may choose between trekking, camping, waterfall rappelling, and farm tours. Tip: Though Lonavala is spread across a small region that is popular amongst trekkers, one can also hire a bike or a bicycle to explore the surroundings. The small, quiet town of Panchgani gives that feel of the good old days. In addition to the charming old colonial cottages that dot the quaint hill station, the soothing breeze rushing through the ancient silver oaks makes this town one of the best places to visit in India in July. 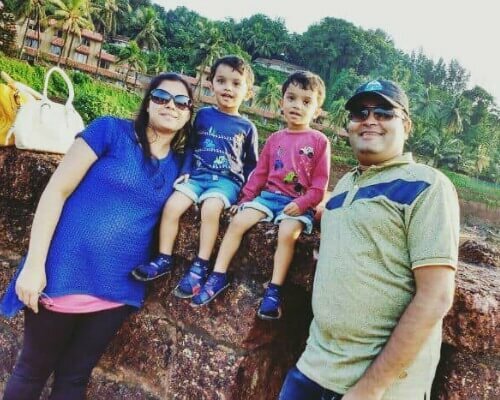 Places to visit:Travelers can visit Rajpuri caves, Parsi Point , Sherbaug, Tableland, Lord Karthikeya Temple, and Kashi Vishweshwar Temple, Kamalghat Fort, Dholya Ganapati Temple, & Dhom Dam at Wai. 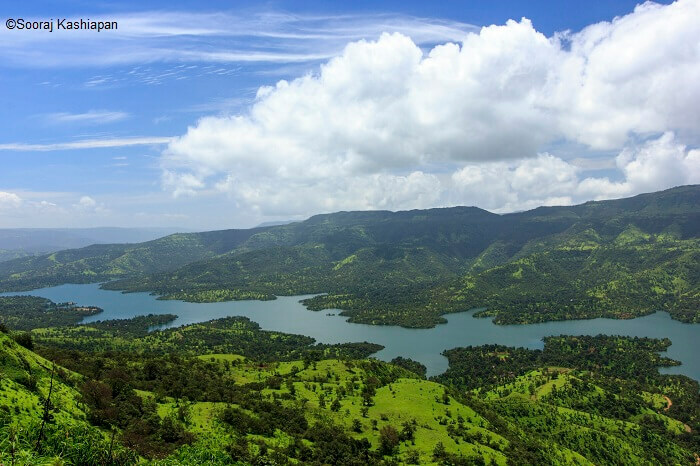 Things to do: Travelers may indulge in chappal shopping, short excursions to nearby places, and boating at Dhom Dam. Tip: Board an intercity cab from Pune to Panchgani for a hassle-free journey. 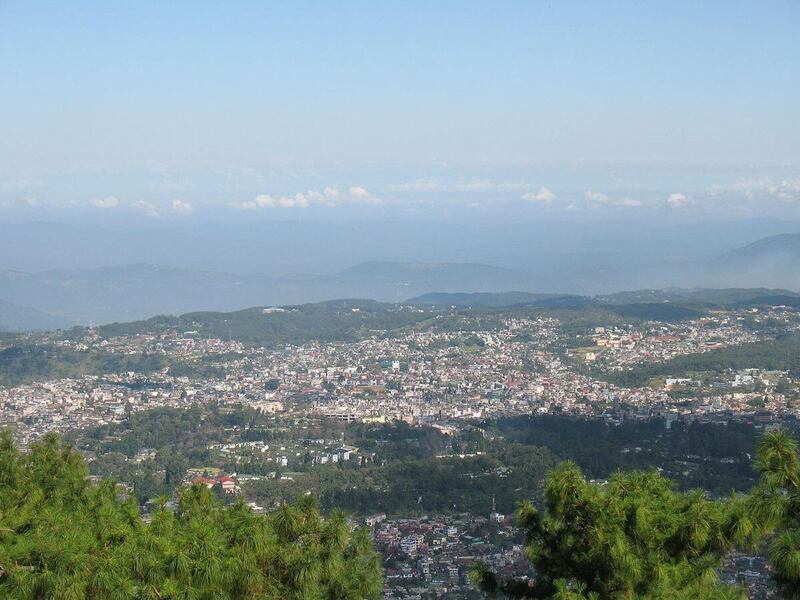 One of the most mesmerizing tourist places to visit in July in India is undoubtedly Shillong. Those crystal clear lakes and the lofty mountains make it a heaven for mountain lovers and peace-seekers. It’s the place where you can unwind amid nature and revive your tired body and mind. 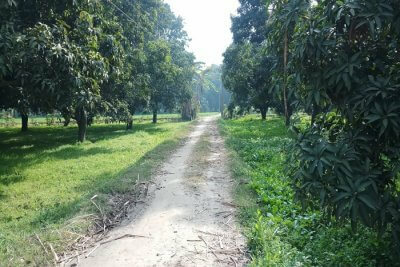 The hill station is surrounded by many walking trails where you can enjoy long nature walks. Places to visit: Nohkalikai Falls, Don Bosco Museum, Air Force Museum, Capt. Williamson Sangma State Museum, Wankhar Entomology Museum, and Rhino Heritage Museum. By Air: There are regular flights from Shillong to Ahmedabad, Aizawl, Bangalore, Chennai, Delhi and various other destinations. The nearest airport is Shillong Airport. By Rail: Guwahati railway station is the nearest located at a distance of 105 Km from Shillong. 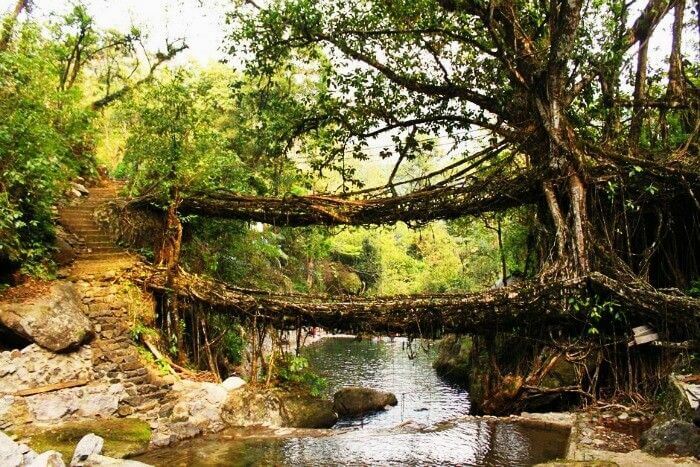 Tip: Do not miss out on the stunning living root bridge in the village of Mawlynnong on your next trip. Home to country’s some of the most gorgeous lakes and mountain ranges, Nainital is a heaven not only for romantic couples, but also for those who are looking for a scenic hill station near Delhi this weekend. Among the best places to visit in north India in July, Nainital leaves you speechless with its charm. Places to visit: Naini Lake, Tiffin Top, Pt. G.B. Pant High Altitude Zoo, Nainital, Naina Devi Temple, and Gurney House. 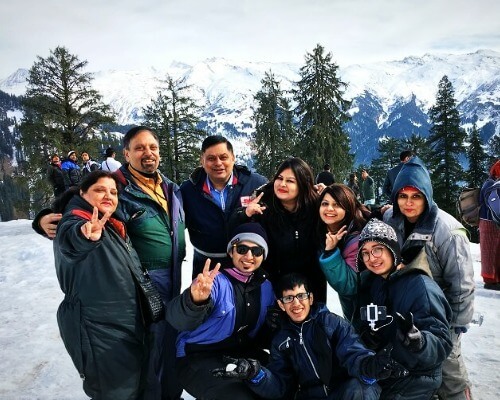 Things to do: Enjoy the mesmerizing view of the snow-capped mountain peaks from Snow View Point, Naini Peak, take a leisurely walk on Mall Road. By Air: Nainital does not have its own airport. Pantnagar airport, which is 68 km from is the nearest one. By Rail: Luxury and ordinary bus service to Nainital is available from Delhi and Kathgodam on a regular basis. Tip: Make sure you go on a boat ride on the ever-charming Naini Lake. 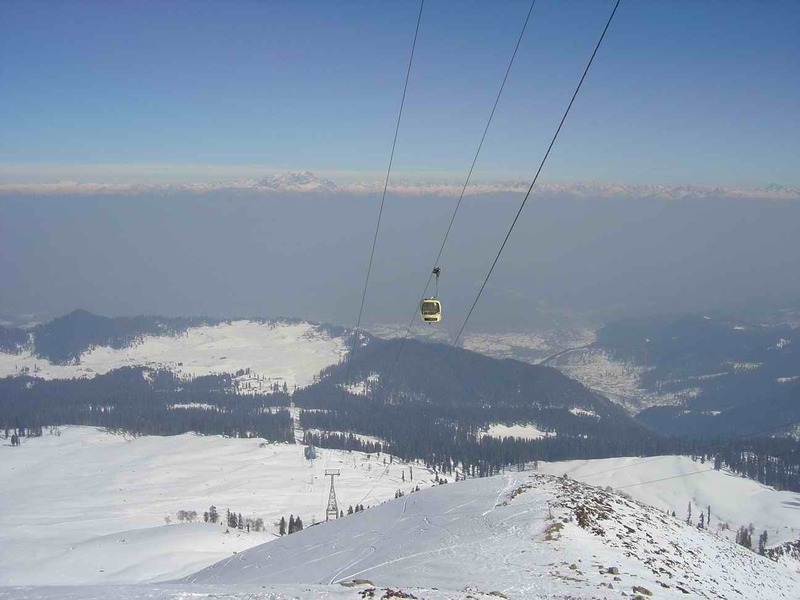 What do you think of when someone says, Gulmarg? Well, we’re pretty sure it’s snow. 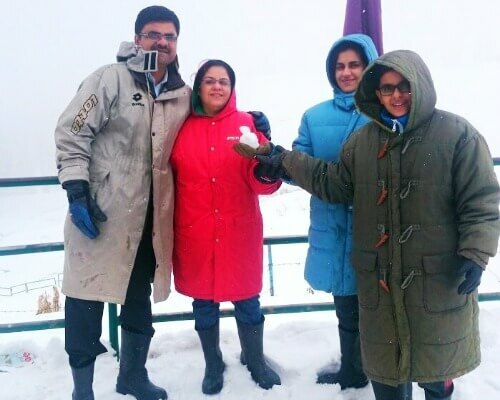 Yes, even if you are planning to visit Gulmarg in July, you may get to see some traces of snow and the weather during the month is extremely pleasant. Whether you love adventurous sports like skiing or just sitting by a lake praising the beauty of the mountains while enjoying the cool mountain air, Gulmarg is the best place to travel in July for you. Places to visit: Khilanmarg, Gulmarg Gondola and Alpather Lake. Things to do: Go skiing on those thrillings slopes, take a gondola ride and enjoy the scenic views, and try your hand at golf. By Air: Srinagar airport is the nearest one at a distance of 60 km. By Rail:The railhead is well connected from Jammu, which makes Gulmarg easily accessible from all major cities and towns of India. Tip: Experience the best of skiing at this snowy paradise. 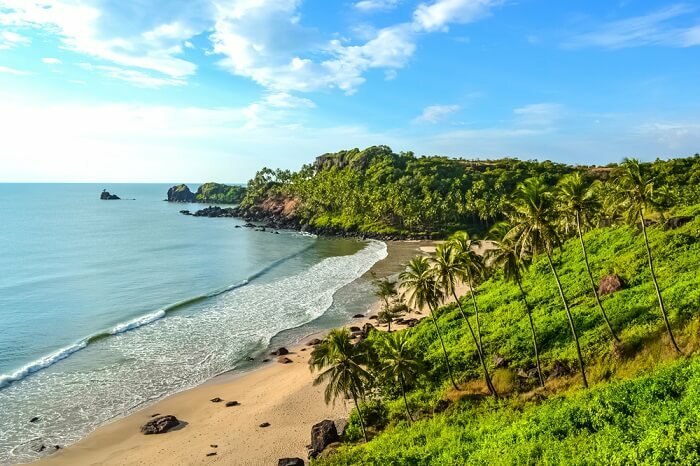 Monsoon is an amazing time to visit Goa as the place turns greener due to the rains. The lush green environs make the beaches look all the more beautiful and the otherwise dry waterfalls, once again become the top places to visit in July. Plan a solo trip or a vacation with your friends to this monsoon paradise in India. Tip: Carry an umbrella or a raincoat because you might be surprised by light showers any time of the day. Mount Abu experiences moderate showers and they turn they city green. The forests look all the more beautiful, making it an apt time to visit. Wake up to the mountain mist and enjoy the nature views here in the month of July. If you are a nature enthusiast, then this should be your pick for a vacation in India in July. Tip: Do not miss watching the sunset from the famous Sunset Point. Coorg is a gorgeous place but it looks paradisiacal especially during the monsoons. A quaint hill station in Karnataka, Coorg is an amazing tourist destination. It is lush green and one can enjoy amazing mountain and valley views. If you plan to visit Ooty in July then you can enjoy misty mornings with foggy nights. The temperature is warm and the place does not receive heavy showers. Also, known as the queen of hill stations, Ooty is one of the top tourist places to visit in July in India. 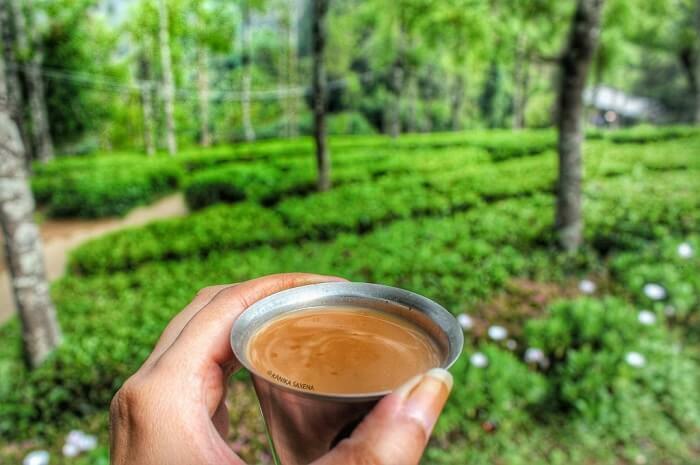 If you are planning a honeymoon trip, then Ooty is a great pick. 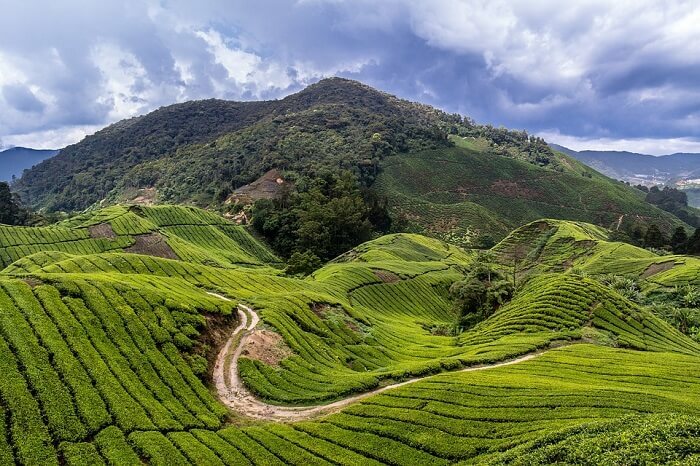 Things to do: Visit the Botanical Gardens, go to the Dolphin’s Nose viewpoint, and trek to Doddabetta, the highest peak in the Nilgiri mountains. Tip: Take the toy train from Coimbatore to Ooty. Located in the beautiful state of Meghalaya, Cherrapunji receives rainfall throughout the year and is totally heaven like. The place is a tourist attraction because of its living root bridges. 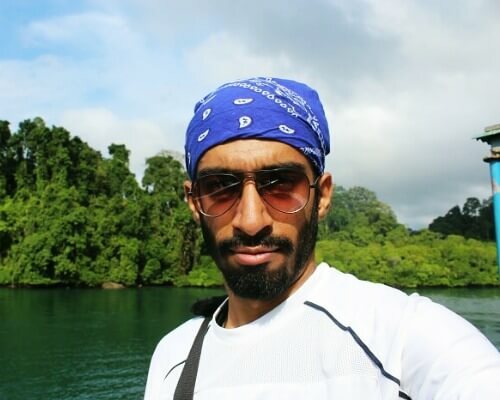 Trek to the forested clifftops and enjoy a peaceful time. Enjoy a stay at one of the holiday resorts there, and spend some quality time with your family or partner. 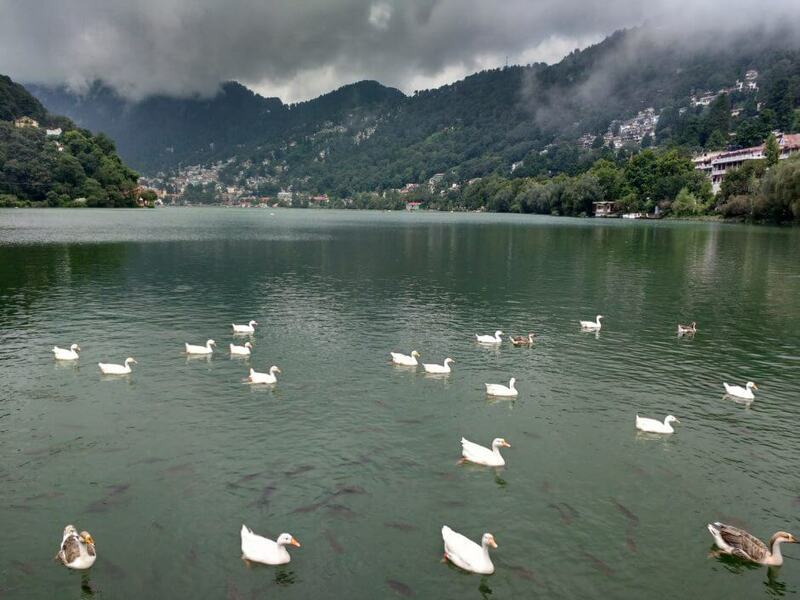 Further Read: Nainital In Monsoon: How It’s The Perfect Time To Visit! Q: Which are the best places to visit in July in India with family? A: Shimla, Mussoorie, Manali, and Nainital are some of the best places to visit with family in July. During this month, the pleasant climate provides a relief from the scorching heat in neighboring states like Delhi and Rajasthan. A: Auli, Ladakh, Kerala, Srinagar, and Tawang are some of the best places to visit in July in India for honeymoon. During this month these places enjoy lovely weather conditions which are comfortable for sightseeing and activities. 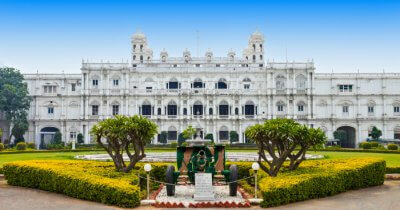 Also, this month specifically is best owing to lesser tourist crowd visiting these regions. Q: Which are the places to visit in July outside India for honeymoon? A: Spain, Croatia, Bali, Italy, and France are among the top international honeymoon destinations in the world for the month of July.